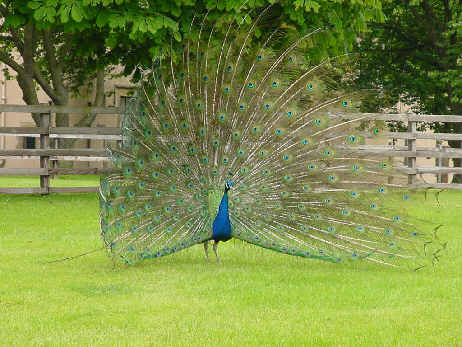 This is a picture of a peacock. Photographs of these birds can be found across the internet but this one was taken at the House of Binns in Scotland. Generally, Peafowl are ornamental birds found in private estates, farmsteads, zoological gardens and public parks across the country.